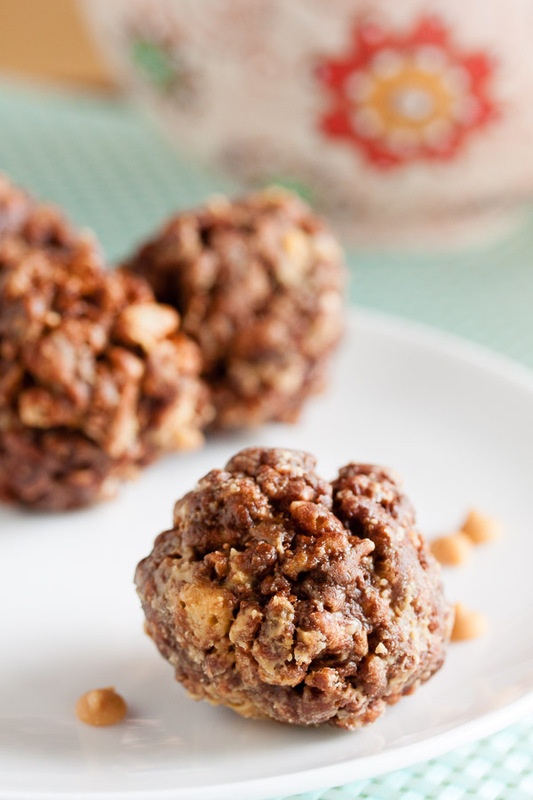 Chocolate Peanut Butter Rice Krispie Treats | wanna come with? Who here hasn’t had Rice Krispie treats? We’ve all had them, right? And they’re pretty sweet, right? With all the marshmallow? 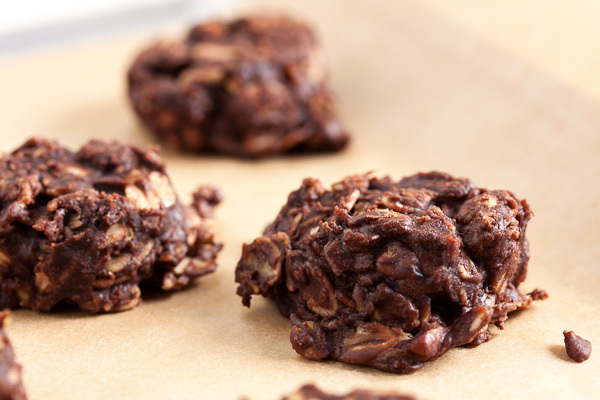 Well the addition of dark chocolate cuts that sweetness down considerably, resulting in a slightly more grown-up treat (only slightly, because face it, they’re still Rice Krispie treats!). Trying chocolate Rice Krispie treats for the first time was a revelation for me. Personally, I’ll never make the plain ones again. And as if that’s not enough, we’ve then ramped them up a little more with the addition of peanut butter chips. And as if that’s not enough, we’ve then formed them into balls instead of pouring them into a pan. So fancy!! Of course you totally don’t have to make these as individual balls. They’ll still taste the same if you form them in a pan and cut them into squares. But I’m all about filling the cookie jar here at my office. Forming the balls didn’t really take any special effort or time. And since I’d used my hands to mix the ingredients together, my hands were sticky already. So why not? When I brought these into work the other day, there was well over a cookie jar full. And they were all gone within a day and a half. These are a definite favourite. People were trying to be sneaky, but I saw them taking 2 or 3 at a time. Heh. Adapted from Martha Stewart's site. I formed the balls about 1-1/2" diameter and got around 50. Measure the rice cereal out into a large mixing bowl. Set aside. In a heavy saucepan, melt the butter over low heat. Add the marshmallows and continue to heat, stirring often, until completely melted and smooth. Add the chocolate and keep stirring until it's melted as well. Remove from the heat and pour this mixture over the rice cereal. Don't even bother trying to stir this with a spatula – just get right in there with your hands and smoosh it all together. You'll end up getting your hands sticky when you form them into balls anyway. This is actually why I suggest combining the ingredients in a mixing bowl rather than right in the saucepan – so you don't burn your hands on the hot saucepan (one of us may have done that...). Add the peanut butter chips as well. 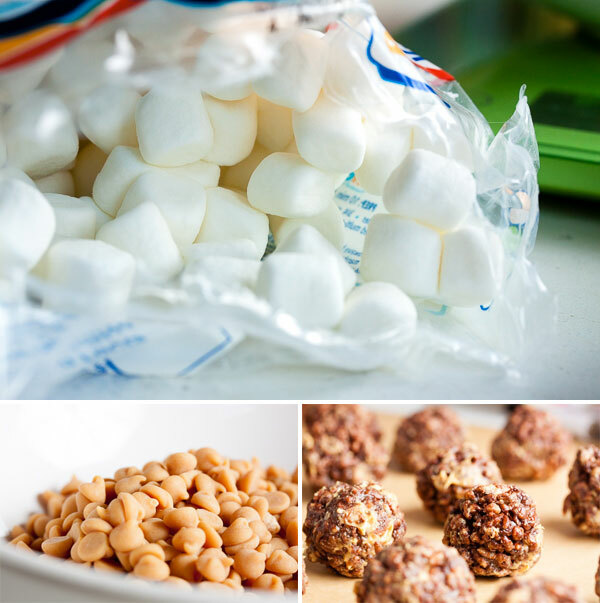 Doing this after you've already combined the marshmallow and cereal gives the mixture a bit of time to cool down so the peanut butter chips don't just melt completely (I may have had a problem with this too, but that's okay – it all tastes good!). Form the mixture into small balls, squeezing it together in your hands, and set on parchment or wax paper to cool. Once cooled, these shouldn't be sticky at all and can easily go into a cookie jar. 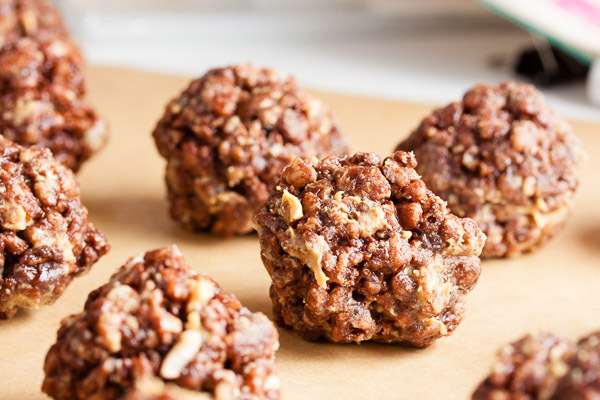 Anything that contains both chocolate and peanut butter I know I will love… definitely will be making a batch of these treats, they look and sound seriously delicious! I would definitely take 2 or 3 of these at a time too! 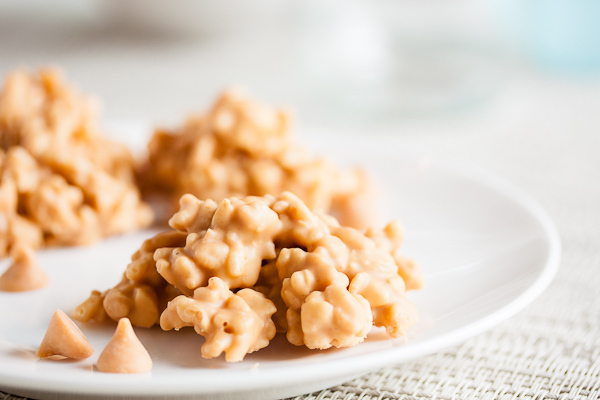 Rice crispy treats on their own are fun, but when you add chocolate and peanut butter? Yowza! These are awesome! 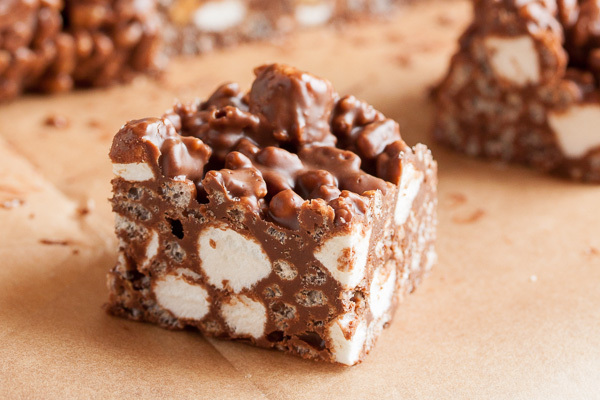 Seriously, once you try Rice Krispie treats with chocolate added? You’ll never look back.